Professor S Moyo holds a PhD in Mathematics from the University of Natal, Durban and a Graduate Certificate in Tertiary Education Management from the University of Melbourne, Australia. She has served in various capacities and levels at the Durban University of Technology as Lecturer, Senior Lecturer, Associate Director and Associate Professor in the Department of Mathematics, Statistics and Physics. She has held an NRF Y- Rating (2005-2009) and has published widely in International Journals. 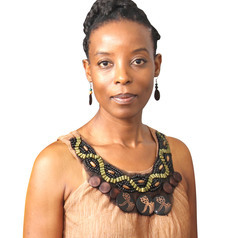 Currently she is the Director for Research and Postgraduate Support at the Durban University of Technology and is responsible for research policy development, implementation and evaluation. She has published extensively in both international journals and presented at both international and national conferences in her field and is involved in the supervision of Masters and Doctoral students and mentors a number of Honours and postgraduate students as part of her portfolio. She has also served as Guest Editor of the Mathematical Methods in the Applied Sciences Journal (published by John Wiley & Sons) and Journal of Engineering Mathematics (published by Springer). She is also responsible for developing staff programmes to assist staff complete their PhDs and delivering short courses on Research Methodology, Research Design, Data handling techniques and Modeling techniques. Her current research projects involve applications using group theoretic techniques in problems arising from nonlinear phenomena with applications in Mathematical Biology and Financial Mathematics. In addition, her current areas of interest also extend to strategic research that aims to inform research and postgraduate policies within the higher education sector, promoting mathematics amongst the youth and mentoring young women to become leaders in their chosen fields of interest.